Prepare yourself for an open, challenging, and satisfying discussion with Andrea, David, and sister wives Pauline and Kate. And be sure to listen carefully all the way to the end. Thanks to James Estrada of Oak Street Audio for his quality post-production, even while on vacation, and to Trent Oliphant for updating the episode. 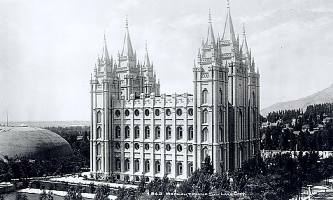 I was listening to Lesson 31.2 at church yesterday and I remember looking up several references to William Law regarding polygamy and Joseph Smith’s request for the hand of his wife. I think it was in the lesson notes as a resource and the hyperlink directed me to a BUY Studies website but I got an error message saying the item was not available. Do you have the resource reference for this? I can’t find it now for the life of me! I enjoy your podcast so much. No luck yet. I wish I had thought to write down the title! I’ll let you know if I track it down. This was wonderful. After 30 years in the church I’m finally confronting my discomfort surrounding polygamy. I find it interesting as I read historical accounts and as I listened to this podcast that I am learning things that are very concerning to me and only increase my negative feelings about the practice, but at the same time I feel a growing understanding of the “why” behind it all and the role it might play in the eternal scheme of things. I appreciated your thought that perhaps Joseph implemented it in a way that is contrary to God’s way. I can absolutely accept that, and perhaps counter-intuitively, it actually increases my faith as I come to terms with the full humanity of our prophet(s). I’m not quite to the point where I totally “get it” or accept polygamy, and I don’t know if that will ever happen in this life. But I’m on the path of understanding and testimony, and am grateful for the many wonderful resources that you and others have made available. It is so nice to know that there are faithful, but honest discussions taking place. I feel uplifted and hopeful after listening. So thanks!